South Africa’s latest finance minister shocked the nation yesterday (24 October) with his very clear analysis of all that is wrong with the local economy, saying that the cost of serving the country’s debt is now approaching 60 per cent of GDP, with growth projected at only 0.7 per cent. With a divisive election campaign waiting, corruption scandals mark the headlines every day, the latest being the raiding of the VBS Mutual Bank which lead to its collapse. Money that was illegally invested by unscrupulous council officials, as well as the investment of shareholders to the tune of about R2m and savings of some 20,000 very poor black shareholders, disappeared before everyone’s eyes. However, Tito Mboweni stated that the government is looking to support high value export products that are labour intensive and will help create jobs and boost the economy. In fact, he named avocados as one of these industries, but one can imagine that the whole fresh fruit sector will fall in this category. In endorsing the president’s five point plan, he also announced that considerable investments will be made to boost emerging farmers. He asked the president (and others) not to send conflicting statements to the country. Does this mean that at last the government knows what everyone expects, that the current disruptive debate about land confiscation without compensation is not something that will help it out of its financial problems? That playing the land card is perhaps something to gain votes in the short time and beat off the challenge for the radical EFF party of Jules Malema? 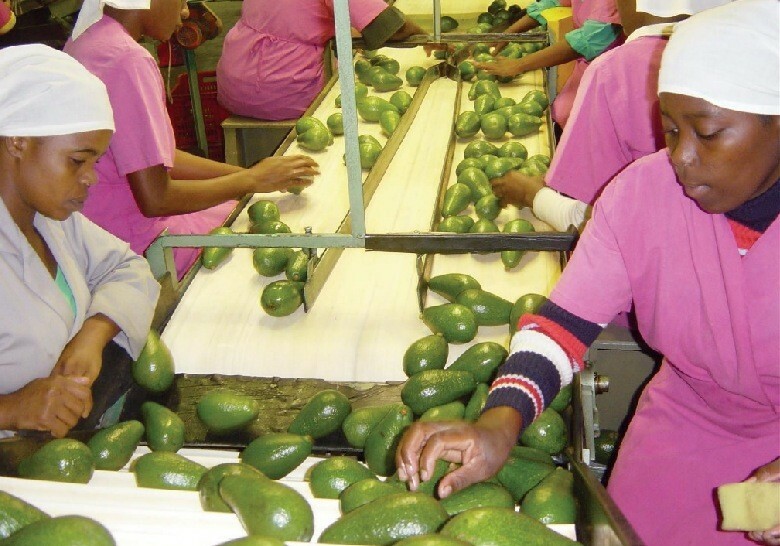 Avocado growers will certainly feel great today after being specifically mentioned by the Minister as an antidote of sorts to South Africa's economic woes. Whether there will be finality in the land debate before the election in either March or April next year, remains to be seen. It is a political game that will meander in its own time. In recent months fruit growers have gained more confidence that productive and effective farming projects are not at risk and the country’s economic woes, the huge battle to tame corruption at the highest level and the need to create jobs in the export industry will eventually prevail. In the meanwhile the new export season has started and one can accept that growers of the early fruits, stonefruit and table grapes, will be far more worried about the immediate seasonal problems facing them. The consensus is that realism will prevail and that the industry will continue to play a massive role in the future of the country.